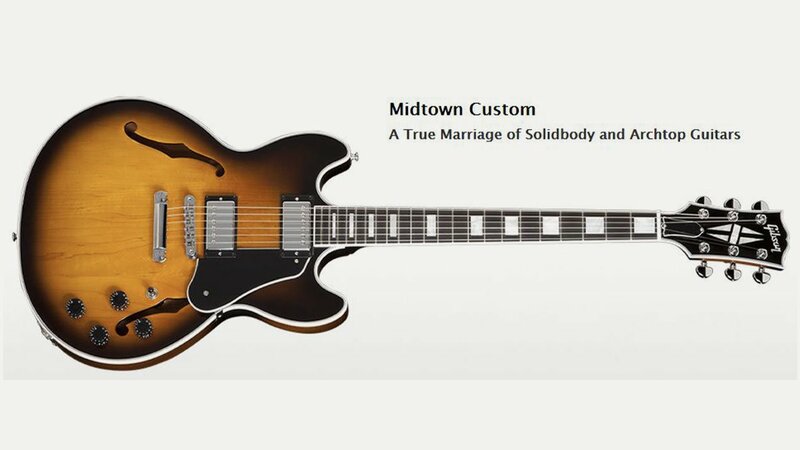 The Gibson Midtown Custom – shown here in Vintage Sunburst – was only made in limited numbers, although you can still get them if you shop around; similar to a 335 in shape and size but with a flat solid maple top on a carved out mahogany body. It has a beautiful bound neck and custom logo headstock – which is the best looking of all Gibson headstocks in our opinion. When it came out, like the 339, it was something of a bargain – a great looking and great sounding US made Gibson with hard case for less than £1000. Bargain! With Gibson Humbuckers this thing can really roar, although it does the clean and warm stuff as well. Looks cool and sounds even better!